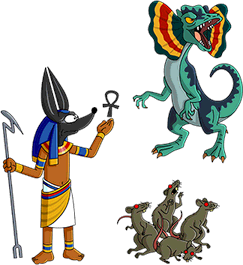 ← 150 "Time Traveling Toaster, Road to Riches, Donut Day 2017 and 4th of July 2017"
"Dinosaurs, sphinxes and pirates… Oh my! History's back to being old news and time travel is once again left to eccentric inventors and sci-fi writers. 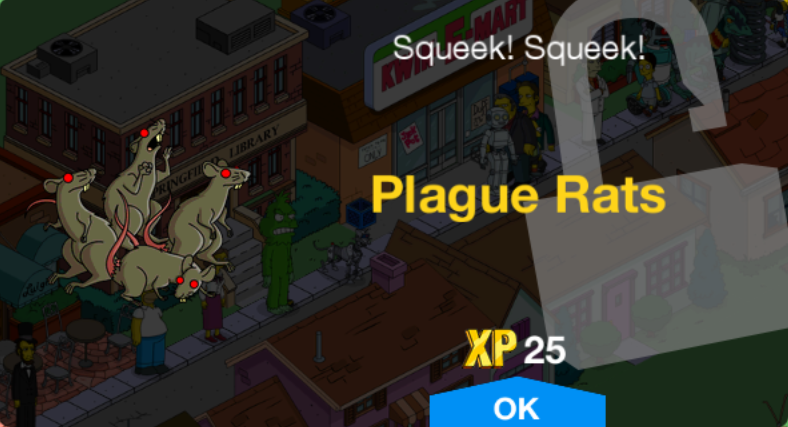 With the past put back in its proper place (minus a dinosaur or two), what's next for Springfield? A summer time sing-off? 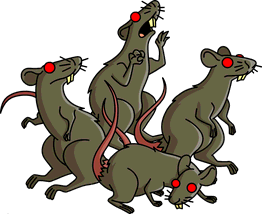 A gathering of prideful pontificators? Or just a few weeks of vacation for the Tapped Out employees… Oh, definitely not that. ―Update teaser on app stores. 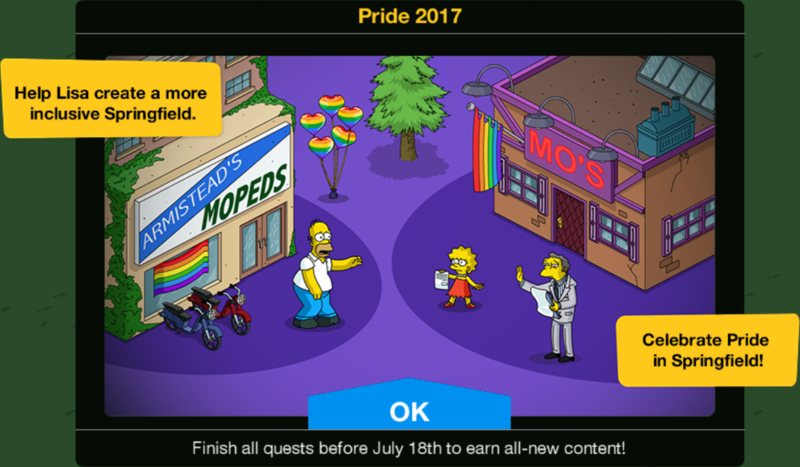 The Simpsons: Tapped Out Pride 2017 content update was released on July 5th, 2017, and is the one hundred and fifty-first content update. 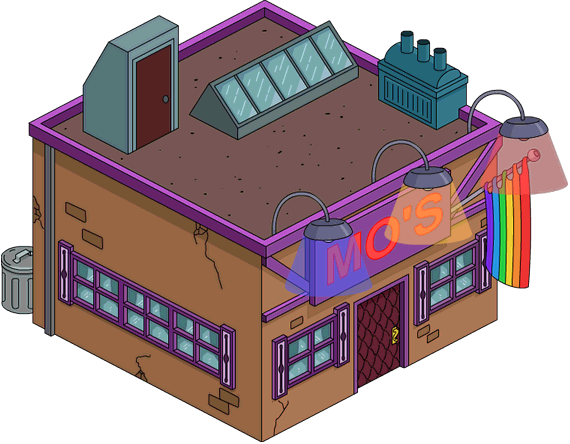 It's based on the Season 22 episode "Flaming Moe". It's the second Pride update after Pride Month 2015. It requires Level 20. The update ended on July 18th at 7am GMT. The Time Traveler's Bundle ended on July 9th, 2017, at 7am GMT. Grady Unlocks with Village Apartments. 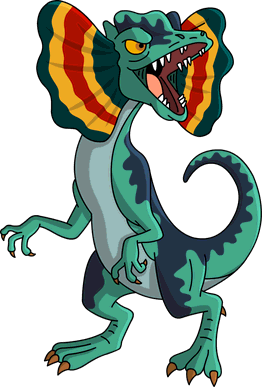 Dilophosaurus From the Time Traveling Toaster event. Unlocks with Time Traveler's Bundle. Julio Unlocks with Hairy Shearers. 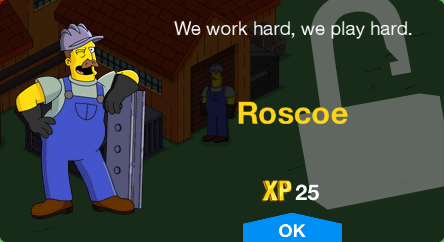 Roscoe Unlocked with Ajax Steel Mill. 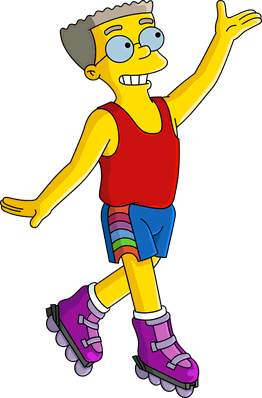 Returns from Pride Month 2015 and Homer's Chiliad. and Time Traveling Toaster and Donut Day 2017. 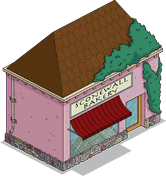 Rollerskate Smithers Unlocks with Sconewall Bakery. Armistead's Mopeds Prize 6s Making Sales of the City Unlocks after completing Pride and Prejudices Pt. 2. Village Apartments Illegally Subletting Unlocks after completing Pride and Prejudices Pt. 3. 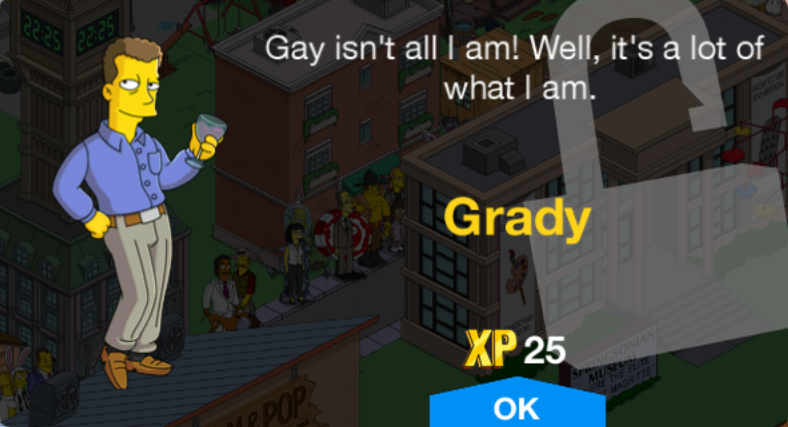 One Night Stan's Regretting Last Night Unlocks after completing Pride and Prejudices Pt. 5. Allows cration of more Pride Crosswalk (White). 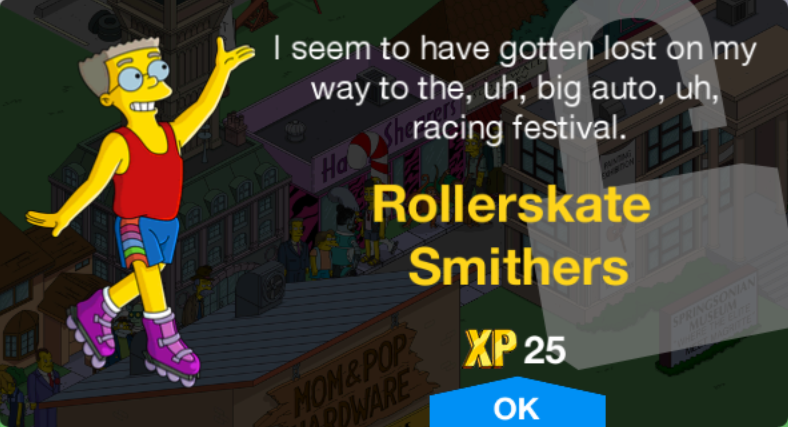 Sconewall Bakery 125 Getting Sconed Unlocks Rollerskate Smithers. 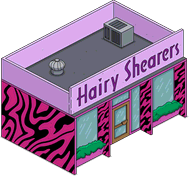 Hairy Shearers 155 Lightening Loafers Unlocks Julio. Havana Private Home 60 6s Plotting Route to Miami Rebate: 20. Returns from "Havana Wild Weekend" episode tie-in. She-She Lounge Cleaning Lipstick Off Glasses Rebate: 20. Returns from Valentine's Day 2016 and Valentine's 2017. Ajax Steel Mill 150 Pounding Hot Steel Rebate: 50. 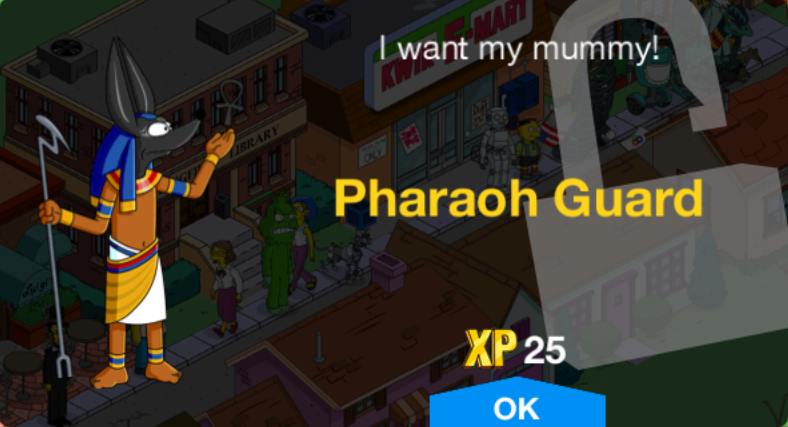 Mo's Quest Unlocks after completing Mo' Money, Mo' Problems Pt. 3. 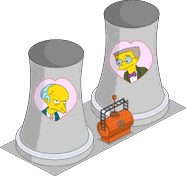 Valentine's Cooling Towers 25 Rebate: 20. 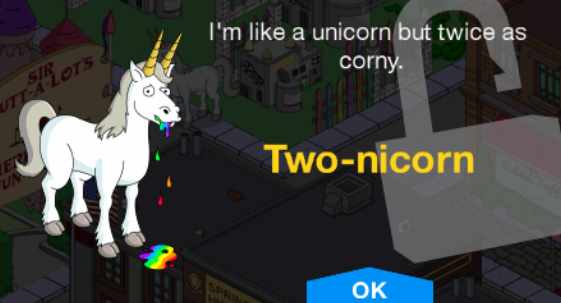 20,000 Unlocks after completing Pride and Prejudices Pt. 1. More buildable with One Night Stan's. Pride Crosswalk (Red) Unlocks by tapping the Pride Crosswalk (White) after 3 hours. Pride Crosswalk (Orange) Unlocks by tapping the Pride Crosswalk (Red) after 3 hours. Pride Crosswalk (Yellow) Unlocks by tapping the Pride Crosswalk (Orange) after 3 hours. Pride Crosswalk (Green) Unlocks by tapping the Pride Crosswalk (Yellow) after 3 hours. 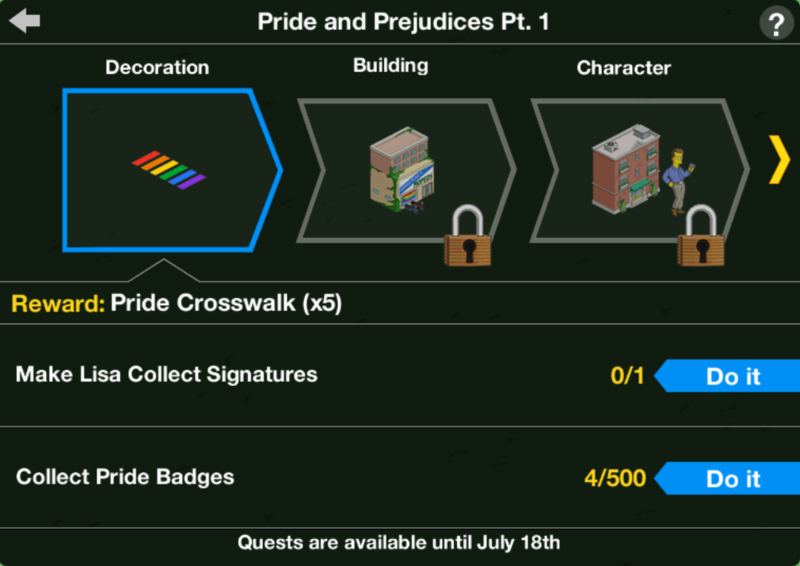 Pride Crosswalk (Blue) Unlocks by tapping the Pride Crosswalk (Green) after 3 hours. Pride Crosswalk (Rainbow) Unlocks after painting the Pride Crosswalk (Blue) after 3 hours. 10 Unlocks after completing Rainbow Balloons Pt. 1. Red Pride Hydrant Unlocks with Rainbow Hydrant Pack. 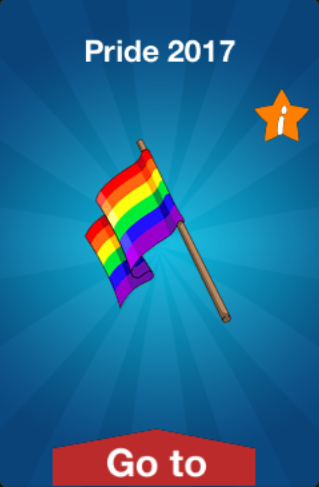 Rainbow Flag 250 Returns from Pride Month 2015. Pirate Booty Possible Excavation Site prize. Returns from Time Traveling Toaster and Donut Day 2017. 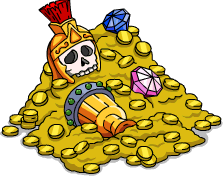 Barbarian Statue Possible Excavation Site prize. Returns from Clash of Clones and Time Traveling Toaster and Donut Day 2017. Unique. If already owned, no more will be awarded. Castle Gates Possible Excavation Site prize. Returns from Clash of Clones. Castle Wall Possible Excavation Site prize. Returns from Clash of Clones and Treehouse of Horror XXVII. Rock Pile Possible Excavation Site prize. Wooden Barrel Possible Excavation Site prize. Returns from Wild West and Time Traveling Toaster and Donut Day 2017. Hieroglyph Wall Possible Excavation Site prize. 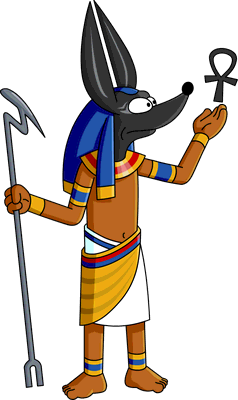 Returns from Stonecutters, Stonecutters Black Market Sale, Homer's Chiliad and Time Traveling Toaster and Donut Day 2017. Pride Billboard 5 Returns from Pride Month 2015. Marvelous Balloons Unlocks after completing Rainbow Balloons Pt. 2. Outrageous Balloons Unlocks after completing Rainbow Balloons Pt. 3. Fabulous Balloons Unlocks after completing Rainbow Balloons Pt. 4. 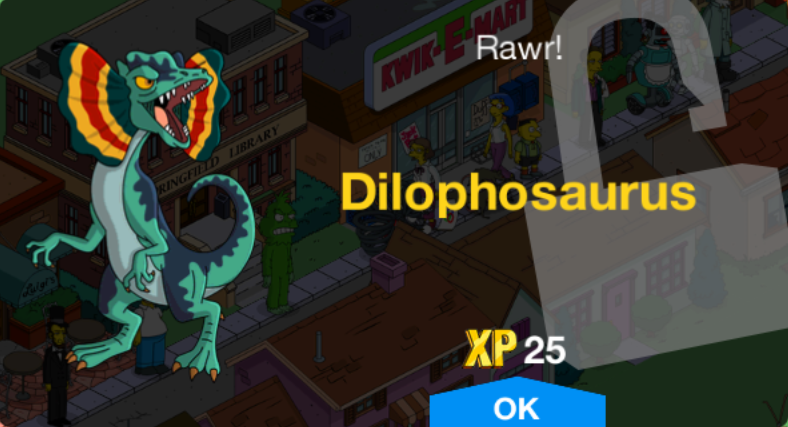 Dilophosaurus Treehouse of Horror V - "Time and Punishment"
The Splash Screen and App Icon returned to normal. The town center was changed back to normal. The ambience music was changed back to normal. The decorations limit was increased to 10.100. Excavation Site now pays out $ and XP, and a random bonus prize: Pirate Booty, Barbarian Statue, Castle Gates, Castle Tower, Castle Wall, Rock Pile 1, Wooden Barrel, Hieroglyph Wall, Broken Down Dryer, Broken Down Washer. 2 shovels are now granted by the Excavation Site every hour till the maximum number is reached. The maximum number of Shovels one can hold was set to 50. 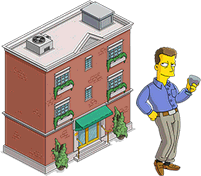 A new building group has been added, Coffee Shops: Java Server, Monorail Cafe, Cappuccino Royale and Shamrock Cafe. 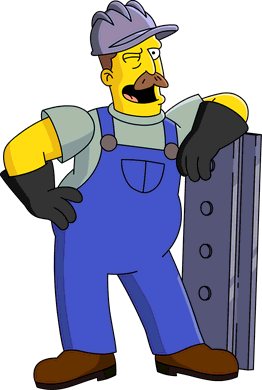 Homer's Workbench and Excavation Site are now storable. 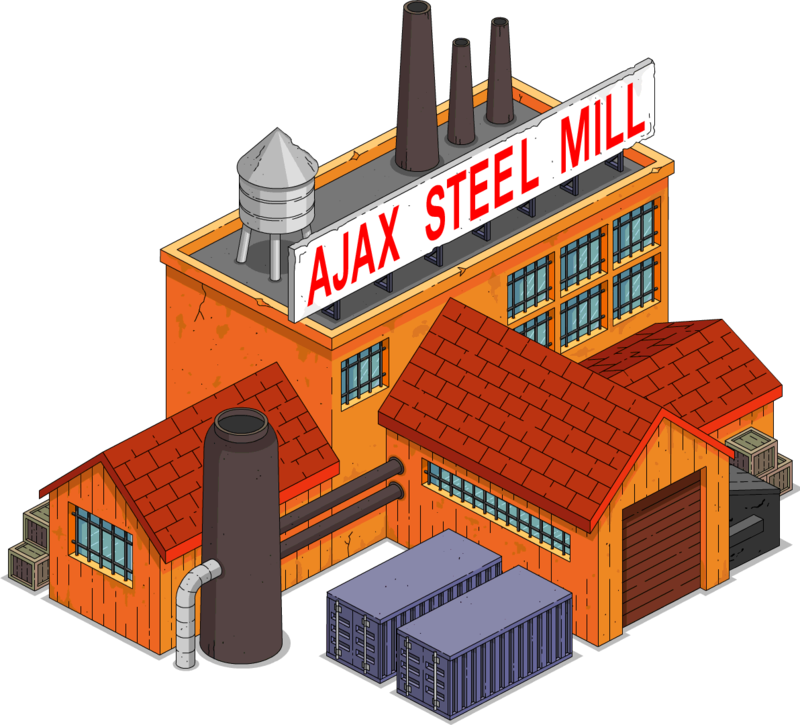 Ajax Steel Mill's conform-o-meter gluttony rating was changed from 10 points to 20. 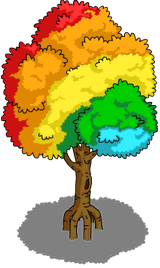 Rainbow Tree's conform-o-meter tree-hugging rating was changed from 10 points to 100. 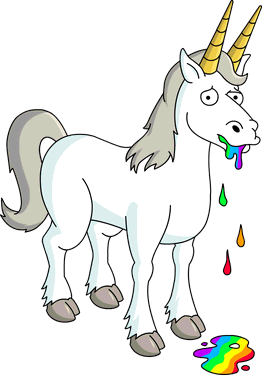 Rainbow Flag's conform-o-meter vanity rating was changed from 10 points to 100. 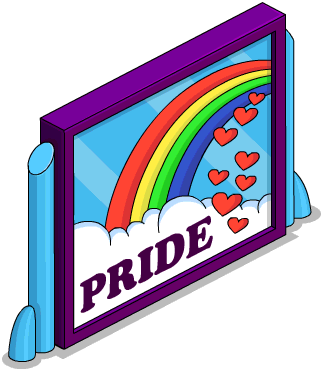 Pride Billboard's conform-o-meter vanity rating was changed from 25 points to 200. 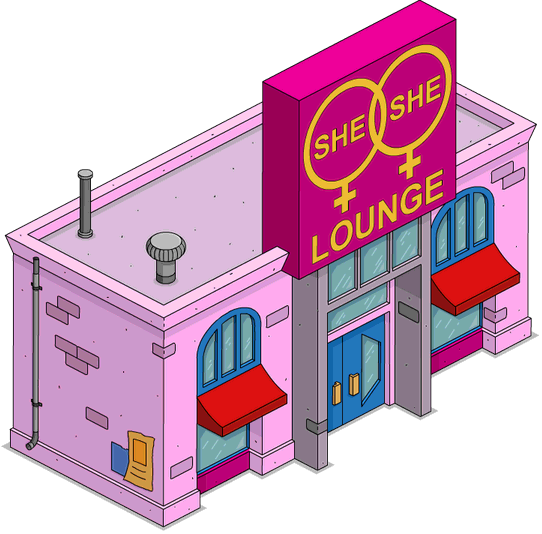 She-She Lounge's conform-o-meter gluttony rating was changed from 10 points to 20 and its task is now premium. Hollow Snake Trunk's description was removed. Homer's job "Make Homer Play with his myPad" was changed to "Make Homer Play with His myPad". In myPad, Glayvin the Score Pt. 2 and For the Love of Marge Pt. 3, the task "Make Homer Play with his myPad" was changed to "Make Homer Play with His myPad". In Hobo You Didn't! Pt. 1, "Make Lampwick Rant about Little Vicki" was changed to "Make Lampwick Rant About Little Vicki". In Epilogue Pt. 1, Radioactive Man's "Now that I'm lead-free, I will fight crime in our city wherever it lies!" was changed to "Now that I am lead-free, I will fight crime in our city wherever it lies!". No Leg to Stand on was changed to No Leg to Stand On. 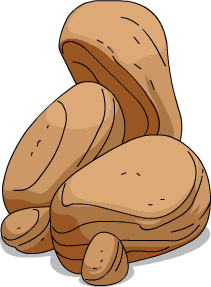 It's no longer possible to obtain more than 1,000 at a time in a single sync of the game, limiting the harvest of bonus donuts from Kwik-E-Mart, Bloodmobiles, etc. farming. Modified on June 15, 2018, at 08:07.